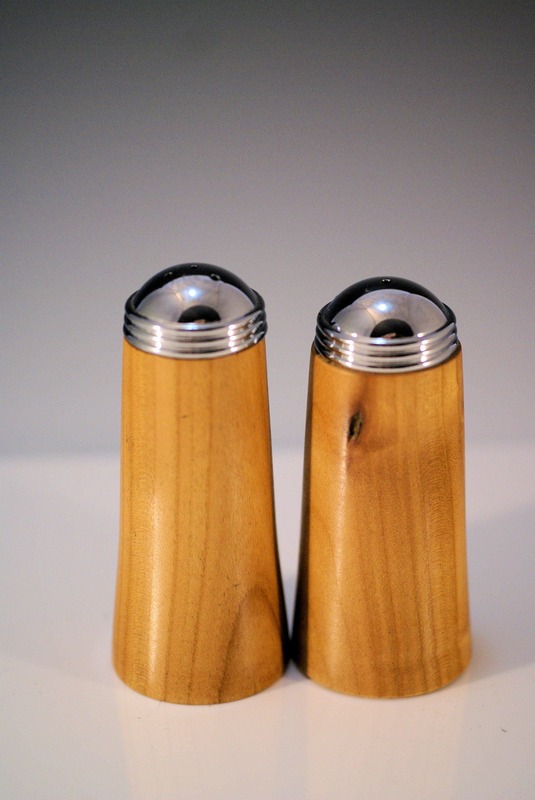 These are made from Maple by hand on my lathe for your table or kitchen. They have a plastic liner and a metal top. To fill just unscrew the top and fill as needed then put the top back on. I am sure you will find these a very pleasing addition to your tableware and easy to use. As far as care goes it is pretty simple, all that you need to do is wipe off with a damp rag as needed and let dry. If they seem to loose their appeal simply add a little oil to the wood and they will perk right back up. They are 3 1/4" tall and 1 1/4" in diameter and weigh only 3.5 oz.